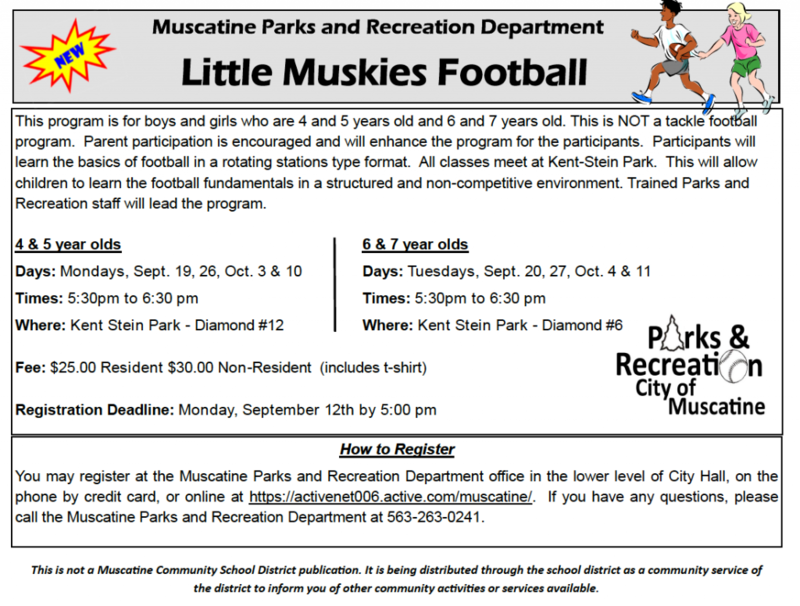 The Muscatine Parks and Recreation Department is introducing Little Muskies Football. This program is for boys and girls who are 4 and 5 years old and 6 and 7 years old. Little Muskies is NOT a tackle football program. Parent participation is encouraged.